Evergreen, 6 to 15 in. (15 to 38 cm). Zones 8 to 9. Apogamous. Cheilanthes tomentosa in the xeric section of the Kennar garden. Cheilanthes wrightii in the Schwartz garden. Photo by David Schwartz. Upper frond surface of Cheilanthes wootonii viewed through a microscope, showing the hairs curling up and around from the lower surface giving it a "beard." Photo by Richie Steffen, Miller Botanical Garden. description: The rhizome is long-creeping. Stipes of over one-half of the frond length are chestnut brown and flatly trimmed with translucent, creamy mocha scales and hairs. Ovate-lanceolate blades are tripinnate with 10 to 15 pairs of pinnae. The upper surface is free of both hairs and scales (glabrous), but the scales and hairs on the lower surface extend well beyond the edges of the pinnules, giving it a fringed, "bearded" appearance. A hand lens is helpful here, and a microscopic enlargement is educational as well as truly beautiful. Sori with false indusia are continuous around the margins. range and habitat: This species is native to igneous rocky outcrops and ledges in the U.S. Southwest and in northern Mexico. culture and comments: Here is a xeric that will settle in the versatile container culture, with controlled soil and exposure. Recommendations include the required good drainage, air circulation, and protection from winter precipitation. 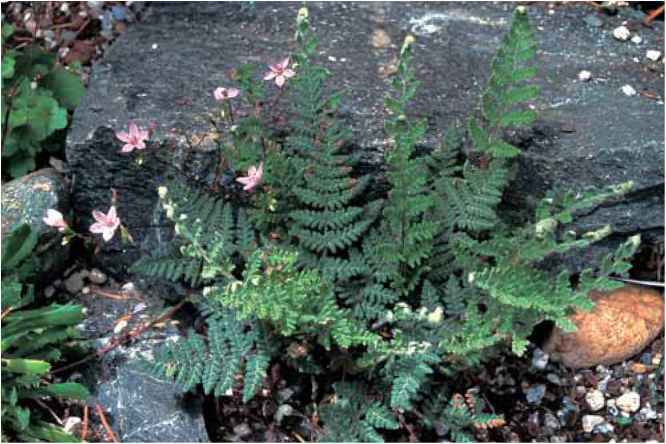 This species is incredibly closely related to the newly separated species, C. yavapensis, with even the botanists noting that the differences are subtle and difficult to determine. 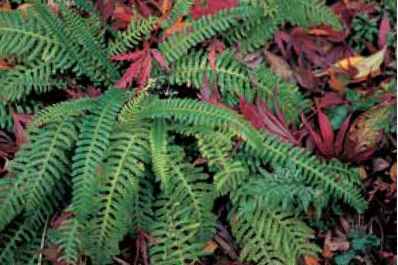 New growth appears as early as late winter in Pacific Northwest gardens.